THE ISSUE of intermarriage or mixed marriage in Israel stirs controversy from time to time and this was especially the case 12 days ago with Morel Malka and Mahmud Mansour. A small protest, approved by the Supreme Court, by members of anti-assimilation group Lehava took place close by. Newspapers editorialized about it and Knesset members showed support for the couple. A 2012 Knesset report said that the number of Jews converting to Islam in Israel had grown to around 100 a year. Israelis who want to intermarry must do so abroad, although most of these cases are not Arabs marrying Jews. In 2011, according to the Central Bureau of Statistics, 8,994 weddings were performed abroad and there were thought to be a total of 92,000 mixed-marriage couples in Israel. Data show that only 27 of these couples were Arab- Jewish, but nonetheless provoked biting emotions among the Israeli public. A dialogue poll conducted for Haaretz by Dr. Camil Fuchs revealed that 75% of the Jewish public and 65% of the Arab public – with Muslims reaching 70% and Christians only 50% – do not want to marry people from other faiths. As for protesting, 72% of Jews surveyed said they would try to prevent a relative from marrying an Arab (Muslim or Christian), whereas only 53% said they would do so if the relative were marrying a non-Arab Christian. Fifty-two percent of Muslims would object to a relative marrying a non-Muslim. Reform Rabbi Philip Nadel, an educator from central Israel, thinks the love story should be seen for what it is: “Two people fell in love, and let them live their lives.” As for the debate, it reveals how “isolated” communities are. 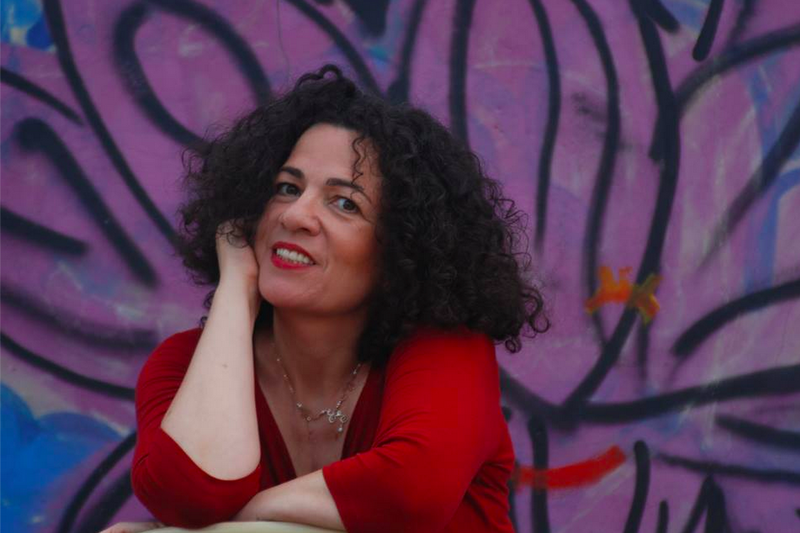 ORNA AKAD, a playwright, director and author, has written on the subject of racism in Israeli society and is passionately outspoken against the country’s policies, such as with the West Bank and Gaza. 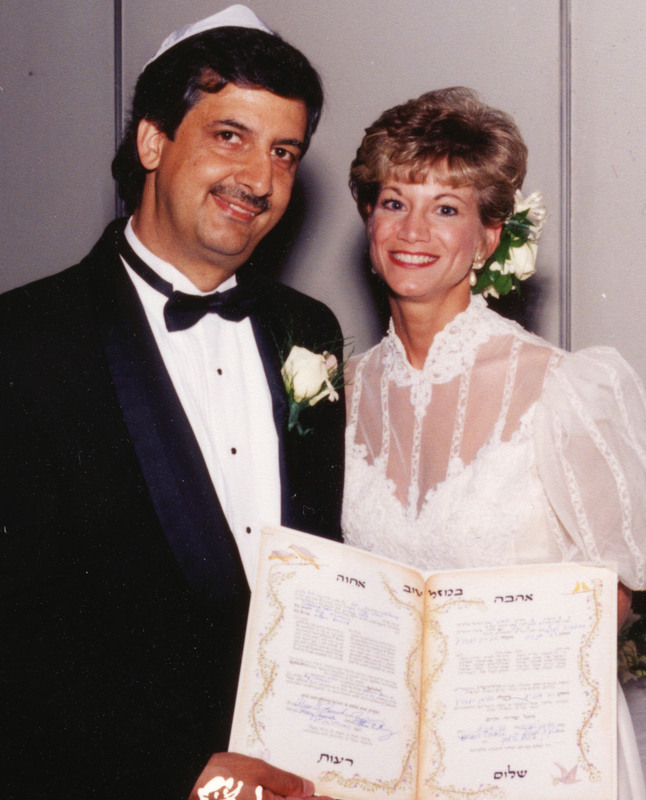 Twenty-five years ago, Akad married a Muslim named Fuad from Jatt in northern Israel. “I was giving workshops in Re’ut-Tzadaka, a youth movement for Jews and Arabs, and Fuad was also a guide in this movement. We were very good friends and I was quite young,” she says. As a secular Israeli, she sees the issue of religion as unimportant, and views Judaism as a culture. They have two children, Mai and Adam, and decided to raise them in neither religion. “Over time you forget you are Jewish or Arab, but when you leave the country they remind you,” she says, referencing security checks. Akad argues that one of the main problems in Israel is the lack of being able to be “Israeli” as a nationality. In 2013, the Supreme Court rejected a case brought by Prof. Uzzi Ornan, a linguist and social activist, to be registered in the population registry as “Israeli” with the court saying it had ramifications for Israel’s raison d’etre as a Jewish state. “I think Israel should become more like France, the UK or US, where the nationality is the same as the country so it is not according to your religion. To be Arab is not a religion, a Jew can be Arab; what is the difference between a Jewish Iraqi and an Iraqi. They speak Arabic and have that culture, that is being an Arab,” says Akad. Akad didn’t convert to Islam when marrying, as Malka did for Mansour. But she supports the woman’s decision. “That is the man she wanted and that is what he wanted and I don’t see a problem with it,” she says. Akad thinks Israeli society has some positive models of Jewish-Arab couples and coexistence in popular culture, including the documentaries by Arab-Israeli film director Ibtisam Mara’ana and the show Avoda Aravit (“Arab Labor”), which depicts a Jewish-Arab couple among its characters. Akad’s own book, Wadi Mileh, published in 2012, tells the story of a Jewish professor teaching in Zichron Ya’acov who falls in love with an Arab teenage girl from Fureidis. THE LONG and often fraught history of Jewish-Arab romances goes back many years. During the British Mandate there were several high-profile intermarriages. Famed novelist S.Y Agnon’s niece, Esther Wiener, married Jawad Nashashibi, a member of one of Jerusalem’s most prominent Muslim families, in 1940. In 2011 it was revealed that in the early 1950s the Shin Bet (Israel Security Agency) had embedded Jewish agents in Arab communities in Israel to report on them. Shmuel Moriah told Ynet how he recruited 10 men who were then trained in Koran and local Palestinian dialect. Many of the men married “young Arab women.” In one case, an agent in Jaffa, masquerading as a Muslim, married a Christian-Arab woman who converted to Islam to marry him. In 1964, when the security services decided to remove the men, they were flown with their wives to France and Rabbi Shlomo Goren, then-IDF chief rabbi, converted three of the wives to Judaism. The children “experienced serious trauma in their childhood. They tried to recover, to forget their past, where they come from, but they couldn’t,” he says. Elements of this true story can be found in popular fiction. Eli Amir’s Yasmine describes an adviser to the Jerusalem mayor after 1967 who falls for an Arab woman in east Jerusalem. The Israeli series Hatufim (Homeland in the US) includes the twist in which an Israeli soldier kidnapped in Lebanon marries an Arab woman. Similarly, in Alon Hilu’s acclaimed book The House of Rajani, the character Isaac Luminsky, who is based on pre-state Zionist Haim Kalvarisky, is imagined having an affair with a wealthy female Arab landowner. The issue of the dual identity of children, has been explored in some media reports. Among the Communist Party of Israel, several leading members intermarried before 1967, including Palmah fighter Arna Mer-Khamis from Rosh Pina, who married Saliba Khamis, a Christian-Arab communist leader. Her son, Juliano Mer-Khamis, served as a paratrooper and later directed the 2004 film Arna’s Children about a Palestinian theater in Jenin to which Arna devoted the last years of her life. Juliano was murdered in 2011 in Jenin by Palestinian gunmen, still trying to maintain his mother’s project. Stories about Jewish-Arab couples always seem to have sense of exoticism when they are told. The daughter of a Muslim-Druse couple in Jerusalem is chastised for becoming Israeli, serving in the paratroopers and marrying a Jewish man. A Jewish boxer from Hungary is viewed suspiciously for having a lavish wedding in Bethlehem to a Palestinian woman. In popular culture, in the television show Ramzor, a character dates a Christian-Arab woman and ends up being tied to a cross for it. Similarly Larry David’s Curb Your Enthusiasm included a “Palestinian chicken restaurant” storyline with a graphic love scene in which David’s Arab femme fatale compares their love-making to Israel’s treatment of the Palestinians. But women who spoke to the The Jerusalem Post – who didn’t use services such as Learn and Return – indicated a very different reality. 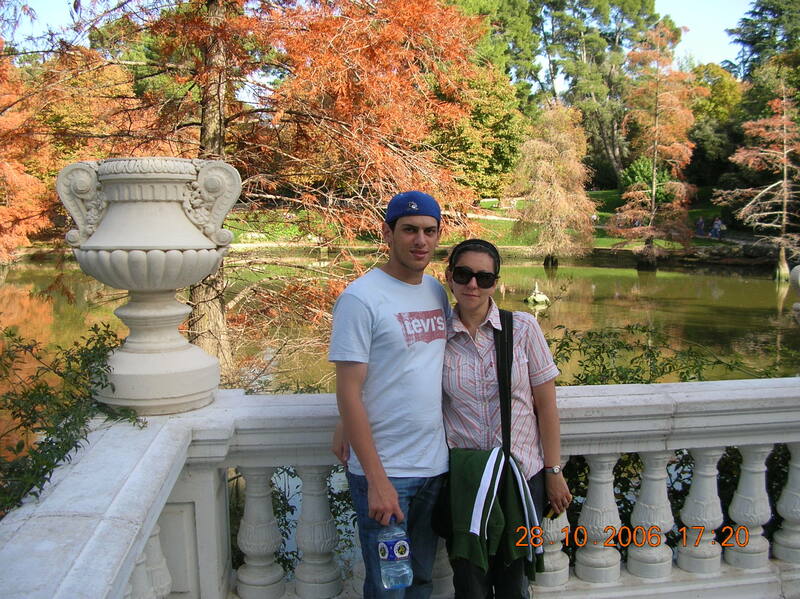 “I met Muhammad, who had grown up in Spain,” says Adriana, an Argentinian Jew who moved to Israel 12 years ago. The two first connected by their shared Spanish heritage. As the two became more serious, Muhammad asked Adriana if she wanted to continue, revealing for the first time that he is Muslim. The two moved in together. Any opposition from Muhammad’s family towards the relationship mostly stemmed from a difference in age, as Adriana is 10 years older. BUT EVEN where there is love, other societal norms and prejudices can intervene. Among practicing Muslims, even those who outwardly appear secular, most interviewed said it would not be acceptable for a Muslim woman to marry outside the faith. Mira al-Hussein, an academic in the United Arab Emirates, said in a conversation via Facebook that it isn’t just about religion. “With my family, a non-Emirati is the same, Muslim or not. So if I were to marry a Jew, I’m sure they’d react the same way to my marrying my ex [a Turk].” And, she adds with a giggle, “the Jewish husband will have to convert in order for them not to disown me.” Religion is very important, it is “ingrained” in Muslim society. Hussein is understanding of how Israeli society reacted to the Mansour-Malka coupling; “with the current political situation, even two friends – Arab and Jew – having tea or coffee will spark tension.” For Hala and her boyfriend Shai, this is indeed the case. Hala sees Israel as a very divided society. Even among her Jewish friends she tires of being introduced always as “Hala, the Arab,” and the conflict in Gaza has made things worse. She moved to the US with her family when she was four, staying for nine years. She says she came back with an American mentality and is drawn to Tel Aviv’s mixed and liberal atmosphere. She met Shai at a swanky Tel Aviv bar, when he heard her speaking Arabic with her friends. The two have been together for less than a year. Hala says the main issue making her relationship difficult – and others like it where Arab women might date Jewish men – is Arab society. “I haven’t brought him home to meet [my family]…I think it is more tradition and society.” She says the problem is not with her family, that she wasn’t raised as an “Arab” or “Muslim,” but that “Society is stronger. Many voices in Israeli society have come out with statements in support of tolerance, while others have expressed understanding of the contentious issue. But Finance Minister Yair Lapid said that he would be bothered if his children sought an intermarriage and decided not to raise their children Jewish “It would really bother me. I think the Jewish people is small… I think we need to preserve it,” he told reporters. He says that in the US one might choose an identity, such as media personality Geraldo Rivera, who was from a mixed background, but in the Middle East, one’s “identity is fate” often. He sees a contradiction in how the public discussed Prime Minister Binyamin Netanyahu’s son dating a Norwegian girl and this marriage. The issue looks to continue to make headlines in Israel. 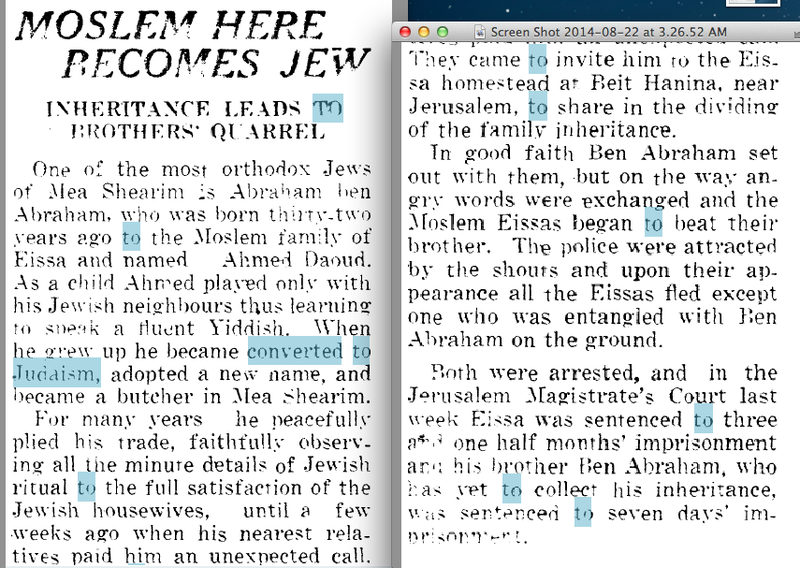 In 1945, a Palestine Post article said that a “Moslem [sic] here becomes Jew.” Ahmed Daoud had become Abraham Ben-Abraham. He was “one of the most Orthodox Jews in Mea She’arim” and worked as a butcher and provided meat “to the full satisfaction of Jewish housewives.” One day his relatives from Beit Hanina paid a visit. His father had died and an inheritance had to be divided, would he come? When he got to the old family home an argument ensued and his brother began to beat him. A passing police patrol extricated Ben-Abraham from the quarrel. More than 68 years later, it was reported that three sisters with the last name Dabas had come to the Gaza border in February 2013 and asked to enter Israel. They had been born between 1979 and 1984 to a Jewish mother and Palestinian father in Nahariya. He moved to Gaza when their mother died and after the disengagement in 2005, it became difficult for them to visit Israel. They are still in Gaza apparently, like Ben-Abraham, partisans to a larger conflict. I’d be interested to know the distribution of religious identity among Israeli mixed-marriage couples and their descendants. Outside Israel, it’s assumed that the descendants of Jews who intermarry–if not the intermarried couple themselves–will end up adopting the religious identity of the majority, by default. Is that not true in Israel as well? 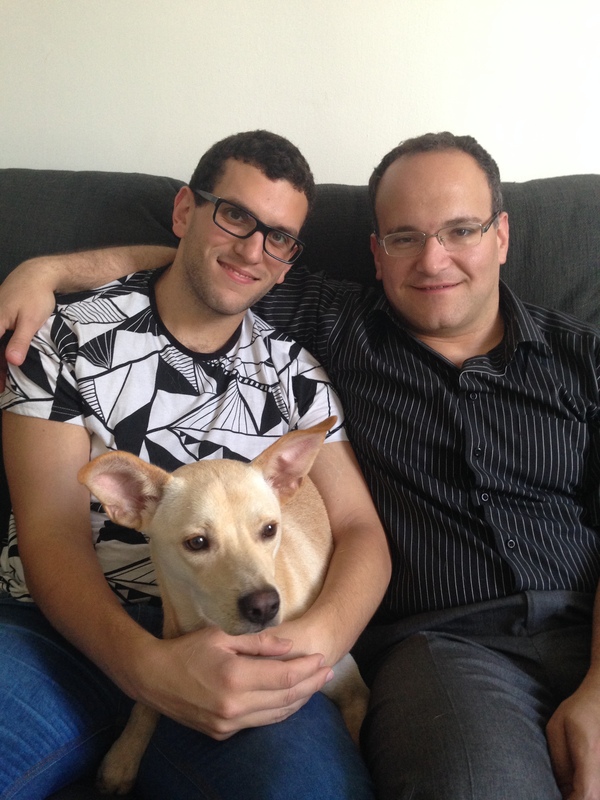 Perhaps intermarriage in Israel is actually a net gain for Jewish population, in the long run? Or are there government policies which interfere with that process?